Over the last decade the powerful pain narcotic OxyContin has taken the lives of thousands of people from all walks of life. Over the years it has become the most sought out pharmaceutical on the market due to high potency. The makers of OxyContin reformulated the drug making it harder for abusers to crush the pills to snort or inject. Naturally, addicts turned to another drug to achieve the high they were looking for. In rural areas across America the powerful opioid Opana has replaced OxyContin as the drug of choice, Reuters reports. At least nine people have died this year so far in Scott County, Indiana, most of which involved Opana. The CDC claims that low-income people and those living in rural areas are at particular risk of prescription drug overdoses. 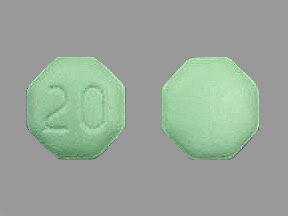 Opana is more potent, per milligram, than OxyContin and most people who abuse Opana do not realize how strong it is. Endo Pharmaceuticals, which makes Opana, has announced it is reformulating the drug which will make it more difficult to crush and will turn gooey if liquid is added to it. Since the announcement there has been a rise in pharmacy robberies by people seeking the current formulation of Opana pills.